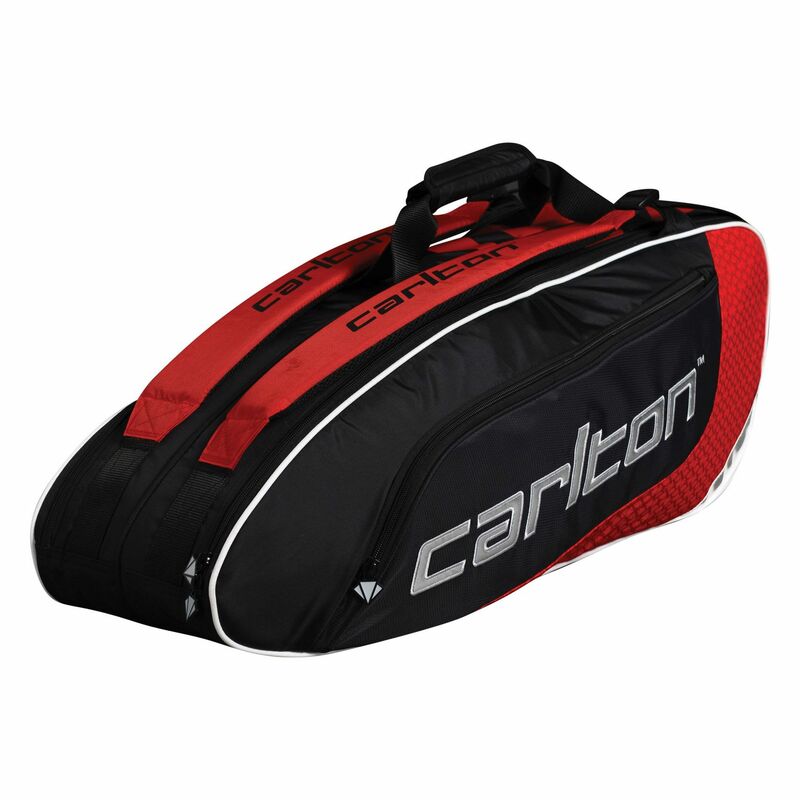 The Carlton Pro Player can accommodate 6 rackets in its 2 zipped compartments with thermal lining. It offers multi internal pockets, a side pocket with an internal phone/ipod pocket and valuable pocket. This practical bag weighs 0.95kg (2.1lbs) and is equipped with carry handles and adjustable shoulder straps for easy transportation. In addition, it is produced from durable 400D Nylon/600D Polyester. for submitting product review about Carlton Pro Player 2 Compartment 6 Racket Bag.